I absolutely love hummus! It’s my go to dip any time I host a dinner party. Garlic, jalapeno, lemon, red pepper, I love all the different flavors out there. Though in this economy, sometimes it can get expensive purchasing all the hummus that we go through at my household. 1 can of Garbanzo beans or chickpease (drain and save the juice in another bowl). Then you just put the bean juice in blender with garlic, lemon juice, and salt. Blend and taste, and change accordingly. Add beans and blend again. Taste and adjust to a flavor you enjoy! Now head on over to Taking Time for Mommy because they are hosting a Recipe Hop! Share your favorite recipe or try new ones posted! Some of them look so delicious that maybe I’ll try a few this weekend! Wow it’s hot outside! Anyone else here on the East Coast feeling the scorch? Candles off Main suggests mixing up a batch of refreshing Blueberry Limoncello! Then you just blend berries, syrup, and juice with enough limoncello to make slush. Pour into glasses and top with remaining limoncello & soda! 1. Heat oven to 350°F (325°F for dark or nonstick pan). Make cake as directed on box for 13×9-inch pan. Cool 15 minutes. 2. Mix lemonade concentrate and powdered sugar. Pierce top of warm cake every 1/2 inch with long-tined fork, wiping fork occasionally to reduce sticking. 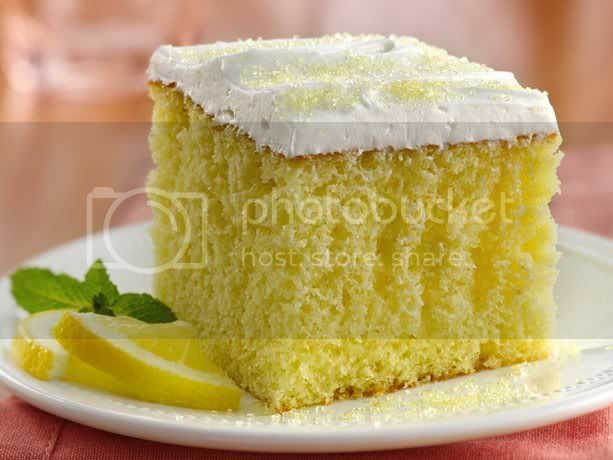 Drizzle lemonade mixture evenly over top of cake. Run knife around sides of pan to loosen cake. Cover and refrigerate about 2 hours or until chilled. 3. Spread frosting over top of cake. Sprinkle with sugar. Store covered in refrigerator. This recipe can be found on BettyCrocker.com! 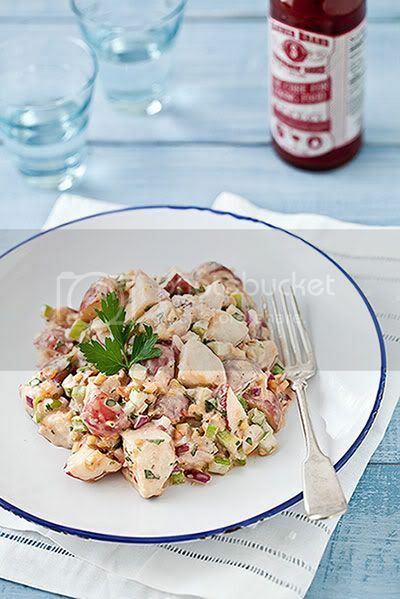 Slatherin’ Sauce posted their recipe for Crunchy ‘n Spicy Slathered Potato Salad! Who here has made it? If you haven’t, try it out and let me know how you like it. Make it for your next family cookout. It serves 8! Don’t forget to use the Spicy Slatherin’ Sauce! Looks delicious, doesn’t it?